The third audiobook in an hilarious series centred on the Olympian gods, comedically and lovingly narrated by the author herself. Elliot's life is spiralling out of control. He's been suspended from school, his ex-convict dad is useless around the house and his mum's health is worsening. What's more, the gods are determined to forge on with the quest for the third chaos stone. An unlikely, hilarious and heartwarming odyssey begins. But Elliot has heard of a mythical potion rumoured to cure all ills - can he save his mum, even if it means sacrificing the fate of the world? Great use of Greek mythology in the modern world, appealing hero. I've enjoyed the first two books previously, and saw this available as an audiobook, read by the author. This won't make much sense to readers/listeners who haven't read the read of the series. For those that have, the adventure picks up where we left Elliott and his Immortal friends. Mid-quest. His mum is still slowly deteriorating, his home still in danger of being taken away from him, his Godly friends still 'helping'. 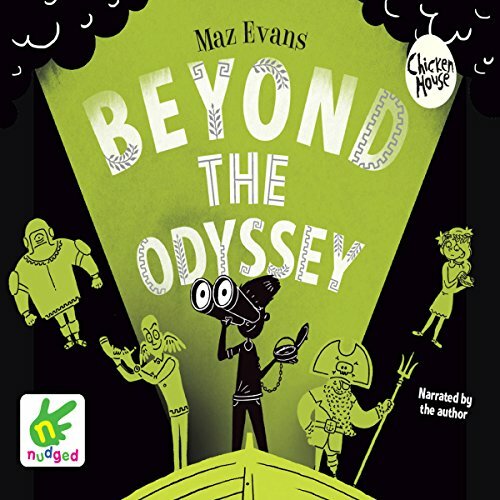 Searching for chaos stones, we continue to get to know the Greek myths, with more characters brought into scenes, as Elliott desperately tries to save his mum and the world too. Maz Evans reads her own work brilliantly, with great voices for a range of personalities. The story makes good sense in audio format, it's easy to keep up and the humour of a reader voicing the Gods is spot on. What am I going to do with myself until February? I've thoroughly enjoyed all the books in this series. Laugh out loud funny, yet heartbreakingly poignant. I can't wait for the final installment. Another amazing story. This one dealt with death so beautifully. I was bawling my eyes out!